The opening ceremony of the new Dr. Edith and Dr. Heinz E. Samson Medical Pavilion was attended by an overflowing crowd including Israel’s Minister of Health Rabbi Yakov Litzman, Jerusalem Mayor Nir Barkat, and donors from Israel and overseas. 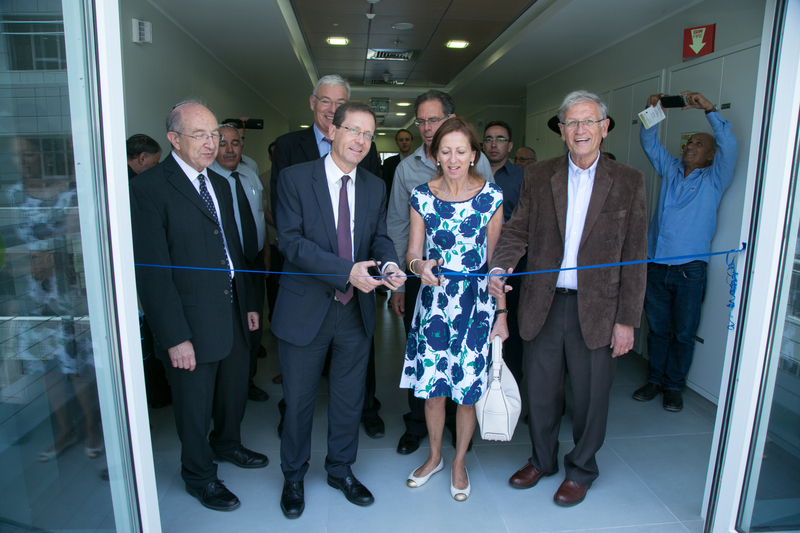 Knesset Member, Isaac Herzog, the grandson of Rabbanit Sarah Herzog, for whom the hospital is named, affixed the mezuzah. 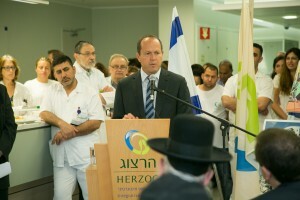 The ceremony received considerable media coverage in Israel and overseas. support, and there are many dedication opportunities still available for a variety of needs. As well as to help fund the purchase of the needed medical equipment for the additional 270 patients we will be caring for.